Back to uni, sigh. On the plus side, by this Friday, week six will be over, meaning we’re halfway through the session, yay! 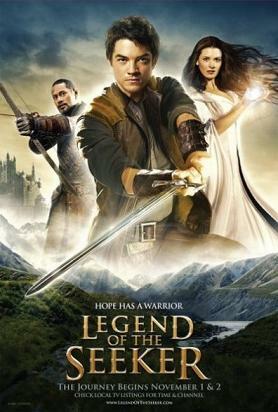 This week at SpockSoc we’re showing a new series named Legend of the Seeker. It’s a fantasy series (been a while since we watched any of those) based on Terry Goodkind’s Sword of Truth novels. I haven’t actually watched any of it yet, but it’s apparently recieved some rave reviews in America. We’re in Goldstein G06, starting at 5pm. Entry is free for members, and pizza is $5 per half, with a free can of soft drink.